Chimney work and repairs, fireplaces, porch and patio construction, house tuckpointing, block walls. Our in house roofing contractors provide roofing installations, roofing repair, replacement, and maintenance of residential and commercial roofing systems. We provide high quality waterproofing solutions that include undergrade waterproofing, elastomeric coating, crack repair system, deck coating, concrete waterproofing, and restoration waterproofing. Let us enhance your property with retaining walls, patios, pavers, landscape design and more. We custom build sidewalks, driveways, service walks, patios, and more. Specialty Concrete - Stamped Concrete, colored, exposed aggregate. We install all types of siding, including cedar, vinyl, aluminum, and stainless steel in many color and design options. We install everything from simple ceramic tiles to intricate mosaic patterns in kitchens, bathrooms, or any other room of your home. 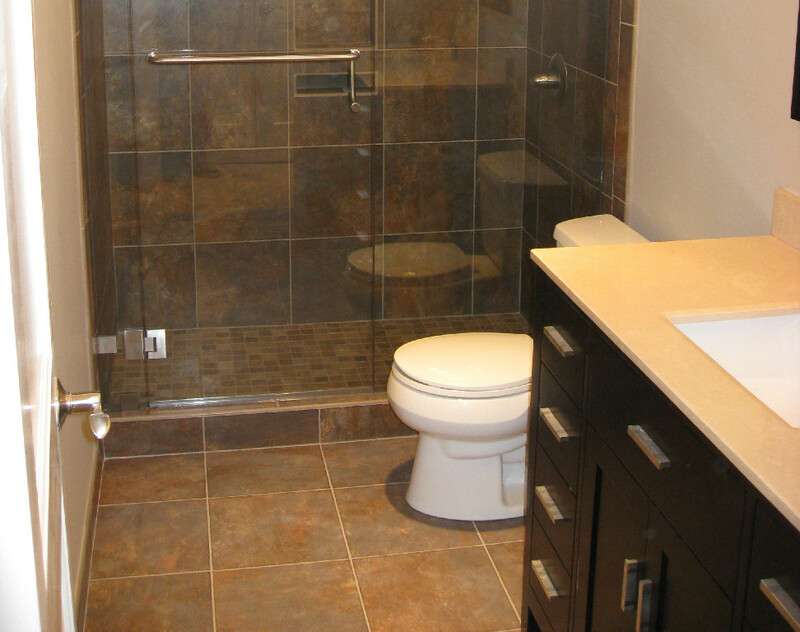 We can help update your home with bathroom remodeling, kitchen remodeling, and basement remodeling services. Olson Cement Work and Construction provides concrete services in Taylor, Allen Park, Lincoln Park, Wyandotte, Southgate, Trenton, Livonia, Dearborn, Canton, and Westland. Our concrete masons transform your property with innovative designs for concrete sidewalks, patios, and driveways. Our custom concrete work is designed to enhance the exterior of your property. We offer a broad range of professional concrete masonry services, including stamping, scoring, staining, coating, and sealing concrete. We create custom driveways, sidewalks, patios, and other concrete projects for your home. In addition to new concrete masonry work, we offer concrete repairs for your existing patio, walkway, sidewalk, or driveway. Choosing the right concrete mason is essential for lasting beauty and value. Our experienced concrete masons use the correct base, forms, and pouring techniques to ensure the concrete cures correctly and won’t crack. We utilize the right tools and proven techniques to ensure the exact elevation, use straight edging and a bull float to bring the concrete to the surface and finish the surface of the concrete, including trimming sharp edges, smoothing the surface and creating a uniform non slip finish. Are you looking to liven up your home décor? Whether you’re looking to repair, refinish, or renovate your current masonry structures, or build completely new construction, our team of experienced Masons can provide the skills and all the materials you could ever want for your masonry needs. It's important to do Masonry the correct way or it's not going to last. Making sure to have the proper foundation, using the correct type of mortar for the Masonry job, and making sure to use the proper mortar joints for a porch, chimney or block wall does make a difference. All of this and using the proper building materials (type of brick etc.) will make sure you get a job done you deserve. Your new home décor is waiting. With over eight decades' worth of industry experience, you can expect superior, knowledgeable services from the professionals at Olson Cement Work & Construction. We install various types of siding, and use only the highest quality materials to guarantee our customers' satisfaction. Our team offers top-notch services to Michigan residential and commercial customers alike. We possess the know-how and tools necessary to help you upgrade the look of your property. If you're looking to revamp the outside appearance of your home or business, we offer a selection of top-of-the-line materials, sure to give your property a new, refreshed look. Aesthetic appeal isn't the only reason to replace the siding on your property, however. Old materials are not only unsightly, but can end up garnering you steep repair bills due to damage from moisture build-up and insect infestation. Our professionals can help you avoid costly complications, while giving your property a more appealing and inviting look. At Olson Cement Work & Construction, our specialists have over 80 years worth of experience upgrading and remodeling kitchens. To ensure customer satisfaction, we employ only the most qualified installers. Whether you're looking to add a few improvements, or would like to completely rework your kitchen, we offer efficiency, industry expertise, and in-depth knowledge. We proudly serve the Michigan communities of Taylor, Allen Park, Lincoln Park, Wyandotte, Southgate, Trenton, Livonia, Dearborn, Canton, and Westland, MI. To improve efficiency and balance, it's a good rule of thumb to ensure the area between the sink, refrigerator, and stove, or the work triangle, measures out to 26' or less. No single side should be longer than 9' or shorter than 4'. It's always a good idea to choose at least 13' of base cabinets, 12' of wall cabinets, and 11’ of countertop in kitchens that are smaller than 150 sq. feet. Larger areas, however, should be outfitted with at least 16' of base cabinets, 15 1/2' of wall cabinets, and 16 1/2' of countertop. Work aisles should be at least 42" wide in one-cook kitchens, and about 48" wide in multi-cook kitchens. This provides added convenience and accessibility. For substantial counter-space to complete prep work, cooking and, aim for no less than 24" in on one side of your sink and about 18" on the other side. To ensure you have enough space to easily unload groceries, measure at least 15" of counter-space on the handle side of the refrigerator. For side-by-side models, leave 15" of room open on both sides. Additionally, you can add a grocery landing (at the most 48" away) across from the refrigerator. Installing a dishwasher within 36" of the sink's edge, and leaving at least 21" of space open next to it provides greater accessibility and faster, easier cleanup. Specifying about 15" of counter-space that's at least 16" deep within proximity of a microwave or oven is a good way to promote efficiency and ease-of-use. Installing entry, appliance, cabinet doors carefully and strategically prevents obstructions, making it easier to move about the area freely. Setting up work counters that are of varying heights can prevent repetitive-motion injury. For instance, counters used for chopping and seated-work should be somewhere between 28" and 36" off of the floor. For general kitchen tasks, they should be between 36" to 48". For taller cooks, counters may be higher. Correctly installing a cabinet above a cooktop is vital. For fireproof materials, allow for at least 24" of clearance. On the other hand, a clearance of 30" is needed for more vulnerable materials. When thinking about remodeling your bathroom if you come to us you'll be making a wise choice. We are going to try our hardest to do it as quickly as possible with the best workmanship there is to offer. these are some great tip's to think about. If your customers need a snow mobile to get into your business. You might need some help. It just takes one quick call to Olson to get rid of all the troublesome snow surrounding your business. We come take care of it right away. From small office's to large apartment communities and beyond, we have what it takes to clear your paths in a pinch.